Click Here To Book Your Quit Smoking Program Online Now! It's a great time to stop smoking! Are you sick of being a slave to smoking and the cost to you physically and financially? Tired of missing so much time with friends and family when you go outside to smoke? An MP3 recording to listen to at home to deeply embed the changes made during the sessions for long-lasting success. Call now to book your appointment now on 0435 923 817 or use the Contact form on this page. How Much Does This Quit Smoking Hypnosis Program Cost? Visit our Fee's and Terms page to find out. Our program is tailored to your individual needs because we recognise the smoking habit is different for everyone. It's for this reason that we do not recommend group sessions or a standard one size fits all course. Many of my clients have told me how surprised they were about how easy it was to stop smoking after our first session; in fact most of my Quit Smoking clients come via referral. *Imagine what you will be like with more energy, feeling fitter and healthier and ready to get so much more out of life. 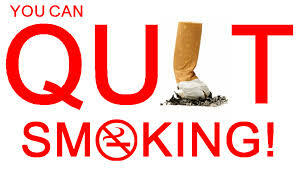 You can achieve this change just by deciding to take action and Quit Smoking with Hypnosis. ​Check with your Private Health Insurer; benefits may apply. Hypnotherapists are not provided with HICAPS machines, so if benefits apply you can claim back after your session with the invoice I provide. Decide to Stop smoking today! If you're looking for Quit Smoking Hypnotherapy Melbourne you'll find there are many Hypnotherapists, for the best hypnotherapy Melbourne has to offer, ensure to seek a member of the AHA OR AACHP, these associations are recognised by the Hypnotherapy Council of Australia. Hypnotherapy to Stop Smoking is a tried and trusted method. Becoming a non-smoker saves the average smoker more than $8,000 per year! Investing in Hypnotherapy to stop smoking will be one of the smartest financial decisions you make. Imagine what you will be able to do with that extra cash when you stop smoking. What will it be ? Holiday? Investment? House Deposit? Car? Growing savings?